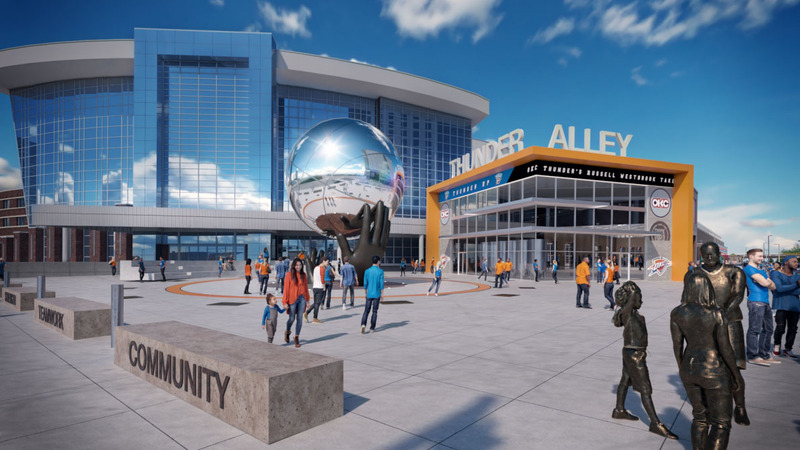 The plan was submitted to the Oklahoma City Urban Renewal Authority (OCURA) in response to a formal request for proposals for land that became available when Interstate 40 was located several blocks to the south several years ago. 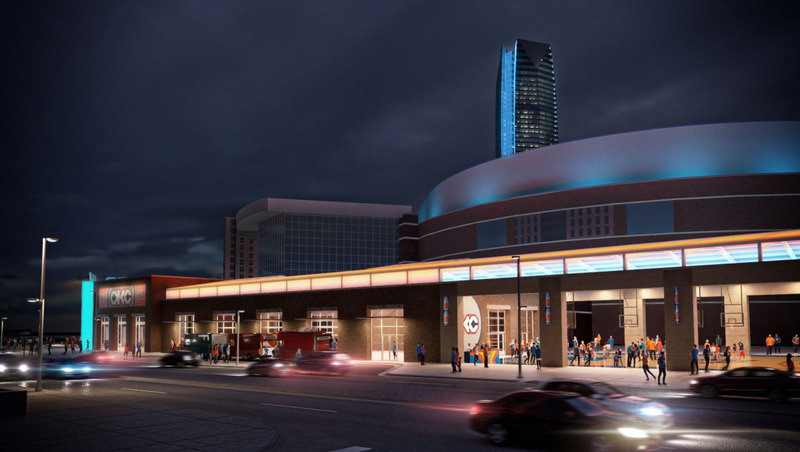 The property sits between the arena and the new Oklahoma City Boulevard which essentially retraces the old interstate route but mostly at ground level. The entire boulevard will be complete later this year. 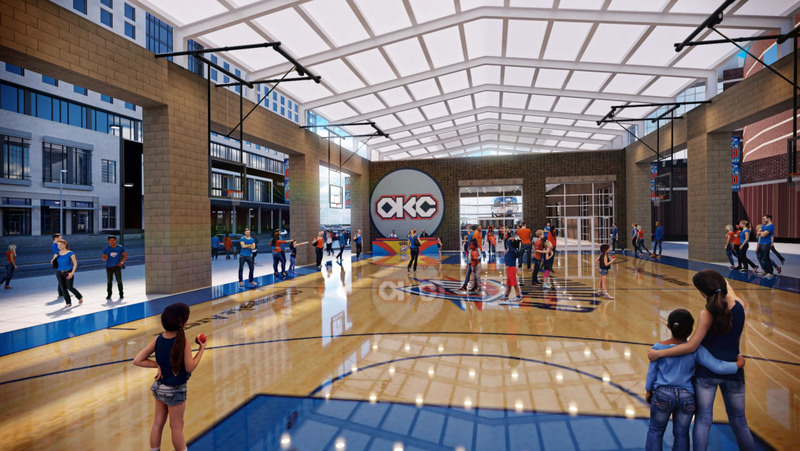 The owners, Professional Basketball Club LLC, is partnering with Randy Hogan who is the developer for the Lower Bricktown property that is home to Harkins Theater, Sonic Headquarters and several other restaurants and attractions along the Bricktown Canal. 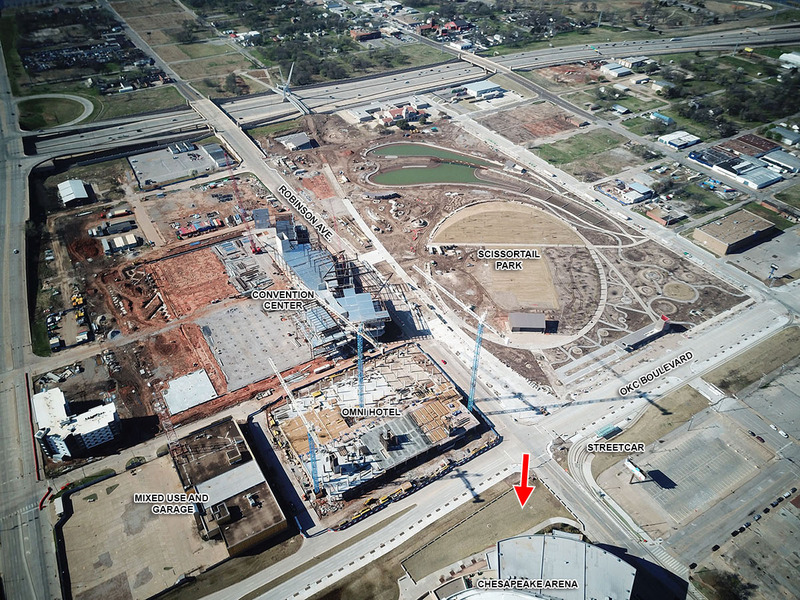 In a similar process, Hogan won the right to develop that Bricktown property from OCURA. 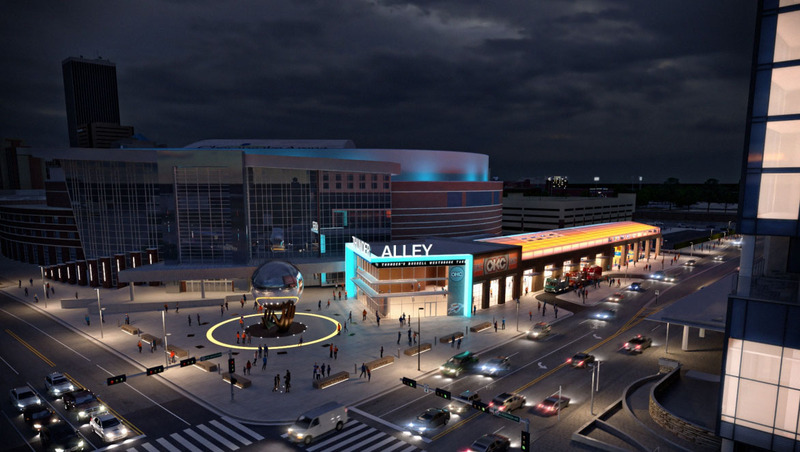 Named Thunder Alley, the project would also include surface parking spaces for 70 cars at the east end. 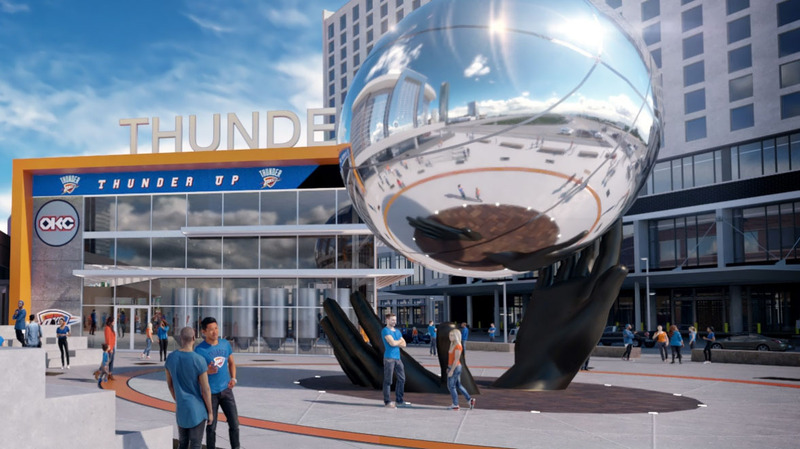 The group anticipates the area to be a gathering space before and after Thunder games and other arena events, but also conventioneers who will be utitlizing the new Omni Hotel and convention center being constructed to the immediate south. The proposal offers $1.25 million for the city-owned 1.55 acres but also asks $1.5 million in public incentives in the form of tax increment financing funds. 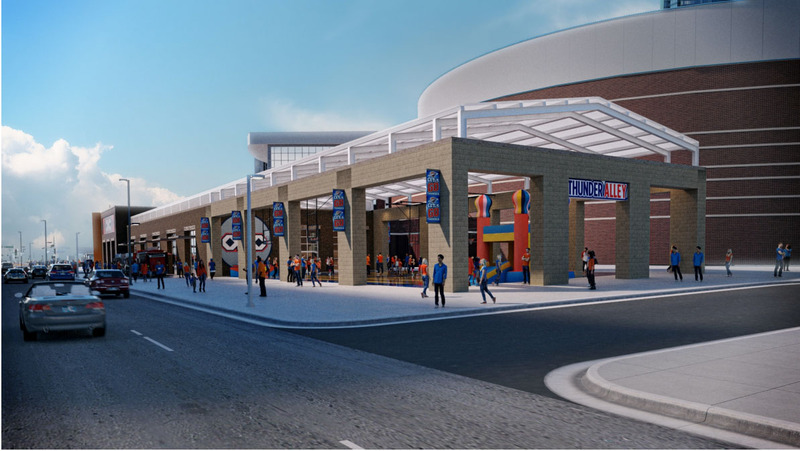 They anticipate the entire project will cost $10.5 million. 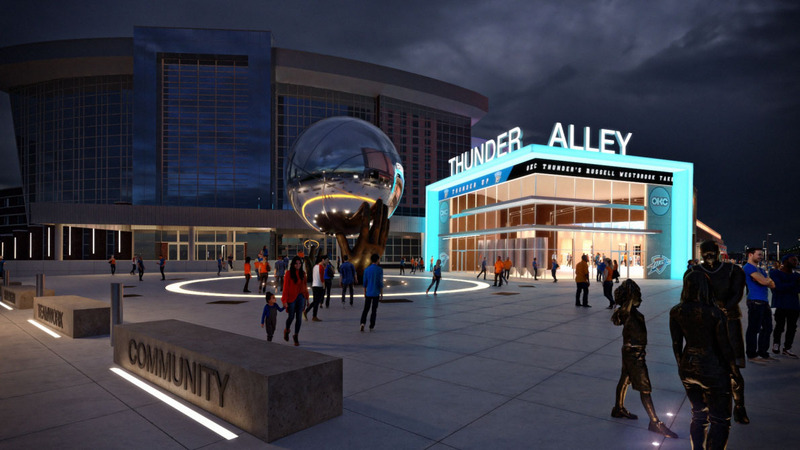 The Thunder Alley proposal was the only response to the RFP and OCURA will consider the plan at a future meeting. 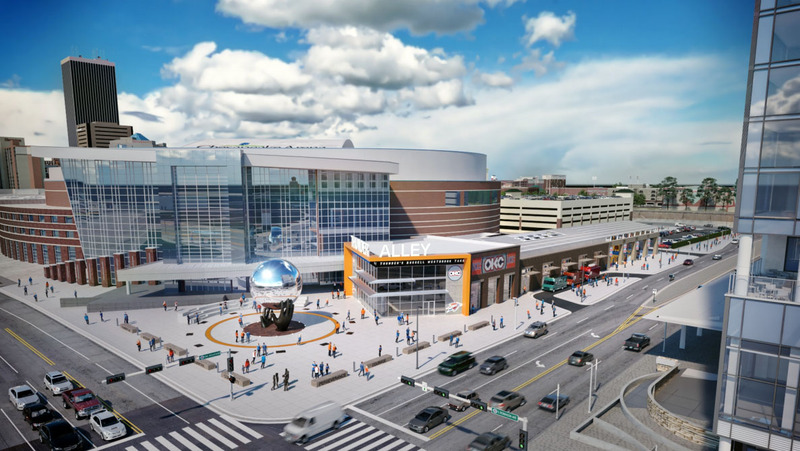 If approved, the plan calls for completion by April 2021. Bocus Payne is the architect.